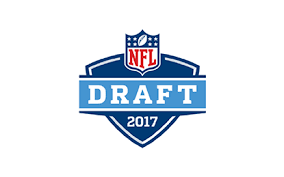 I am watching the NFL Draft, and it is getting boring. That is why I cranked up the iPod to see what is happening there. Here is what happened. “Try Not To Breathe” by R.E.M. The year when people who had never heard of George Orwell suddenly knew all about him. 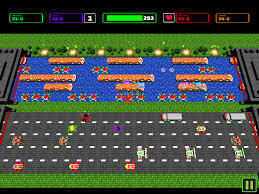 The year I got my first car and could cruise the Main with my radio blaring. 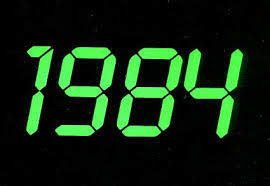 Yep, 1984 was an interesting year. It was also a good year for some new artists and for some artists who had been around for a while. The year began the way 1983 ended. “Say Say Say” by Paul McCartney and Michael Jackson was at the top of the charts and would stay there for a couple of more weeks. They were knocked out of that spot by Yes. This band had been around for years and hit the top with “Owner of a Lonely Heart”. The song stayed on top for two weeks but was overtaken by a new group that became one of the definitions of the 1980s. Culture Club, led by Boy George, gained everyone’s attention with “Karma Chameleon”. They held the Number One position for three weeks. 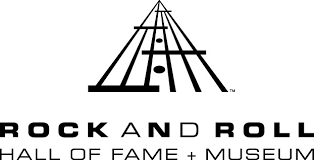 Then, they found themselves up against a band that liked to be called hard rock, but I am not sure about that. “Jump” by Van Halen remained Number One for five weeks in February and March. I like a good Hard Rock hair band, but this bunch was too cheesy for my taste. This was never one of my favorite songs. Thankfully, they were jumped by someone else. Less thankfully, it was another cheesy song. It was also from a cheesy movie. “Footloose” by Kenny Loggins proved that he had moved on from his days Jim Messina. It also proved that teenagers will watch any dumb movie with music and dancing. Interestingly, “Footloose” was replaced by another song from another soundtrack. “Against All Odds (Take a Look at Me Now)” by Phil Collins came from a movie of the same name. It was another typical 198s movie but was geared towards adults rather than kids. It was also one of the last films of Richard Widmark, one of the all time great actors. Phil Collins had been a member of Genesis before going on to a solo career. He lost the top spot to another singer who was doing the same thing. Lionel Richie had been a member of The Commodores. Now, he had another hit song with “Hello”. “Let’s Here It for the Boy” by Deniece Williams was Number One for a couple of weeks and was followed by a string of performers who typified the music of the 1980s. In fact, the summer of 1984 was dominated by three artists. It began with “Time After Time” by Cyndi Lauper and continued with one of my favorite groups, Duran Duran. How can you go wrong with a group named after a character in Barbarella? Anyway, they saw “The Reflex” go to Number One. Duran Duran stayed there for a couple of weeks. Then, they were replaced by the biggest hit of 1984. “When Doves Cry” by Prince is an awesome song that stayed at the top of the charts for five weeks, including the entire month of July. It gave way to another song from a movie. However, this was not just any movie. Ghostbusters was about a group of guys who rid New York City of apparitions. Then, they almost met their match went they went up against a gigantic Stay Puft Marshmallow Man. Oh yeah, “Ghostbusters” by Ray Parker, Jr. went Number One. Then, the music world saw the triumphant return of a 1960s icon. After a life filled with struggle, Tina Turner, from Nutbush, Tennessee, returned to the charts with “What’s Love Got to Do with It”. She stayed at Number One for three weeks. For one week, “Missing You” by John Waite reached the peak of the charts. 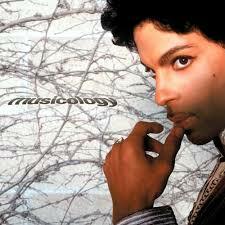 However, it feel away under the power of Prince, who had his second Number One song with “Let’s Go Crazy”. Another star of the 1960s and 1970s returned to the charts in October. “I Just Called to Say I Love You” by Stevie Wonder was Number One for three weeks. “Caribbean Queen (No More Love on the Run)” by Billy Ocean was next in line. Here is something interesting. Depending on the region of the world, the title and lyrics changed. Another quintessential 1980s act reached the top in November. “Wake Me Up Before You Go-Go” took Wham! to the top of the charts. They were overtaken by another duo but one that had several hits. Hall and Oates returned to Number One with “Out of Touch” and remained there for two weeks. Another newcomer replaced them, but this newcomer was taking her first step toward becoming a trendsetter and superstar. She would do that through music and lifestyle. The year 1984 ended with the introduction of Madonna. “Like A Virgin” spent the last two weeks of the year at Number One. I am sure it was played at a ton of New Years Eve parties. Those are the Number One songs of 1984. Obviously, those were not all of the artists putting out music. What were some of your favorite 1984 songs? The other night, we, like a ton of other people, went to a Super Bowl party. It was a fun gathering with great food and great friends. As often happens, I learned a few things while I was there. First, people at Super Bowl parties do not watch the Super Bowl. During the game, they eat, talk, mingle and all sorts of other things. I was guilty of this because I did not care who won the game. It was background music for what was happening within the room. However, the same people got quiet and paid attention to the halftime show. 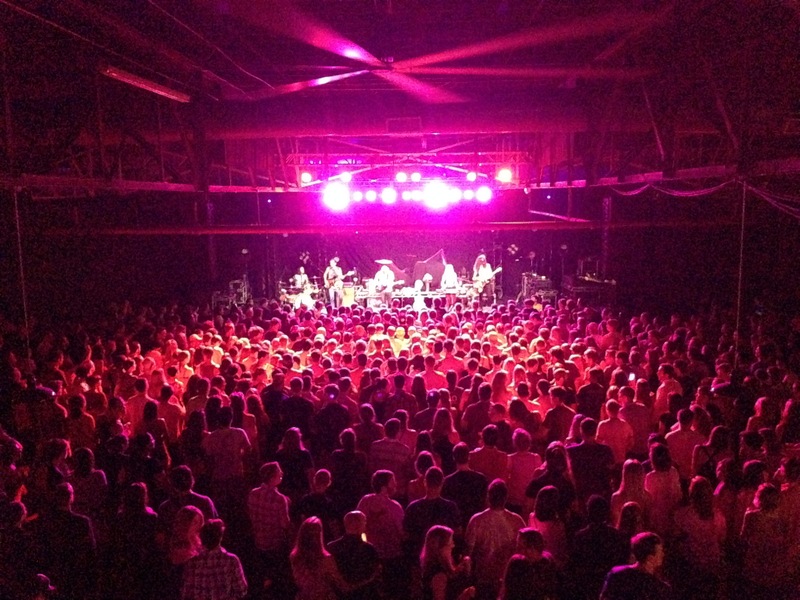 In short, I learned that a lot of people watch a concert and a football game breaks out. Secondly, I learned that Katy Perry, the halftime performer, is a witch. At least, this is what folks on social media were saying. Of course, that would be a pretty sharp turn for someone who used to be a Christian singer and likes to dance with Jabberjaw. A halftime show being performed by a witch follows a line of Super Bowl halftime shows that sent dark forces through our television screens. Madonna’s performance was designed by the Illuminati and announced the arrival of the Antichrist. If you do not believe it, then look around the Internet. It is all right there. Not to be outdone, Beyonce’s performance was also filled with Illuminati symbolism. I am not sure what message they were trying to get across, but Beyonce did all she could to get everyone’s attention. Heck, she even knocked out the lights, which allowed the field to be brought from the dark to the light. Illuminati was written all over it. With all of the symbolism during these shows, I wonder if they used the symbol himself, Prince. That purple guitar has to mean something. To honor Katy Perry’s witchiness and all of these performers for their service to the dark forces, here are a few of my favorite witches. Samantha Stevens – She tried to hide her powers, but they always saved the day. However, I do not understand why someone with her skills did not notice when her husband turned into another person. 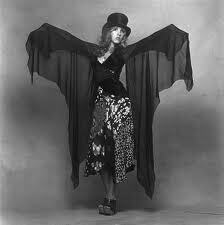 Stevie Nicks – My favorite witch of all time. The dressed like a witch. She sang about witches. She is the coolest witch of all time. 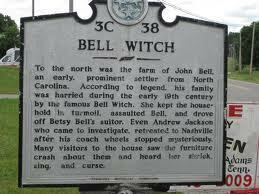 The Bell Witch – I have to include some local lore. I will not go into the entire story, but she is the only witch to be officially recognized by the United States government. Any kid who grows up in Tennessee knows that you never stand in front of a mirror and say her name three times. 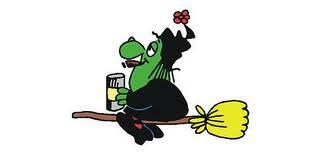 Broom Hilda – We had a high school teacher that we called Broom Hilda. It was not nice, but she earned it. 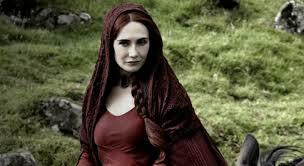 Melisandre – Anyone who watches Game of Thrones knows all about her. She can convince kings to burn people at the stake, and she can give birth to smoke monsters. 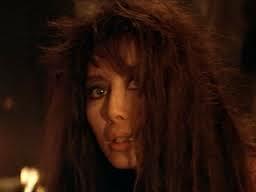 Rhea of the Coos – There cannot be a list of witches without including one created by Stephen King. 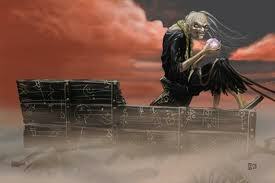 The Dark Tower series is filled with dangerous characters, but Rhea of the Coos is one of the most dangerous. The Witch – She does not need a name. She only needs her feminine ways to lure Conan the Barbarian into her lair. He threw her into a fire, but she came a lot closer to killing him than James Earl Jones ever did. 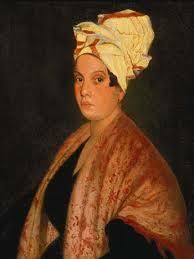 Marie Laveau – She was the Witch Queen of New Orleans and was said to remain forever young. Redbone recorded a great song about her, and people visit her grave. I have been there and drawn three X’s on her tomb. That is supposed to wake her up to offer some black magic help for anyone who needs it. There are plenty of more witches out there casting spells and dancing in the woods. 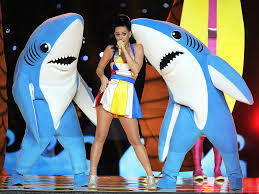 I wonder which one the Illuminati will get to perform at next year’s Super Bowl.